About – Aqua Pro Inc.
Aqua Pro, Inc. (API) is a full service cleaning company specializing in various cleaning services for residential, commercial and industrial clients. Our management staff averages over 50 years of experience and provides a complete offering of high quality work, on time delivery, quality control, reliability and value. 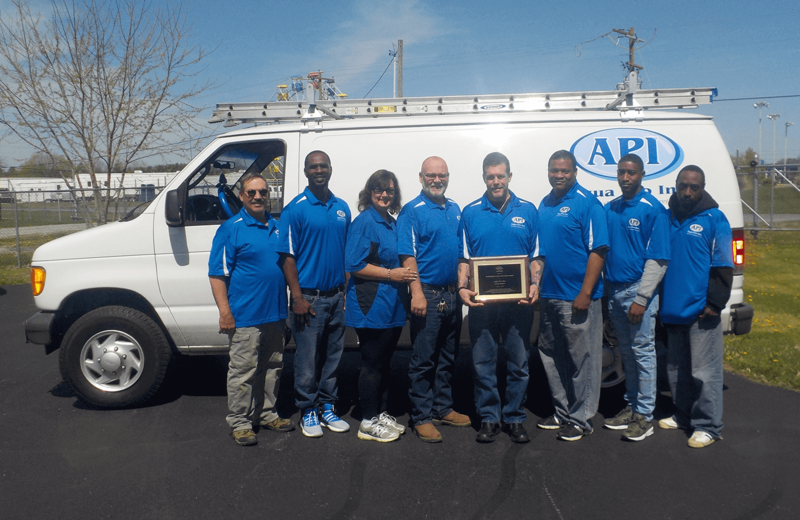 Established in 1998, API is owned and operated by the husband and wife team of Bob and Hope Metzgar. With the main location in Smyrna, Delaware, API services clients in Delaware, Maryland, Pennsylvania, New Jersey and Virginia. We provide our customers with exceptional service in areas such as kitchen exhaust cleaning, building exterior cleaning, concrete cleaning, air duct cleaning and many other cleaning applications. Our Certifications, experience, and references, provide solid information to ensure that our customers are provided with the best service available.